Australian born, Elle Macpherson is probably best known for being a supermodel. She is also a very successful businesswoman, actress and actress. She has graced the cover of the annual Sports Illustrated Swimsuit Issue a record 5 times!!! Elle's beauty, just like her Rolex Daytona is so timeless, it is difficult to tell which decades all these images are from!!! The photo below of Elle was taken in 2012 in Ibiza Spain and it shows Elle with her oldest Son, and her new Yellow Gold Paul Newman Rolex Daytona, along with her trademark straw cowboy hat. 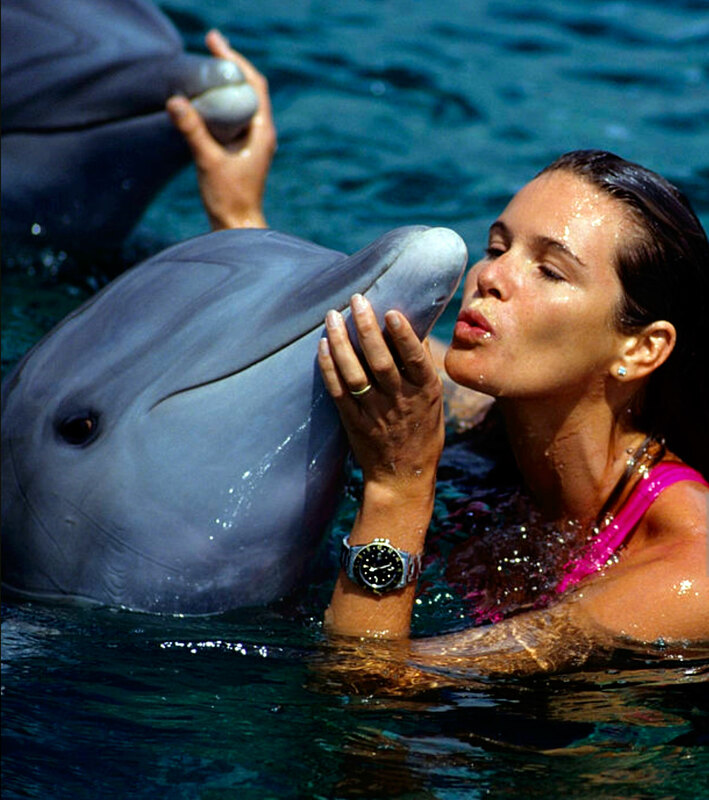 In the photo below we see Elle Macpherson early in her modeling career, wearing a Rolex GMT-Master on her wrist as she pets a dolphin. In the recent photo above, taken two weeks ago, on September 14, 2016, we see Elle Macpherson sporting her yellow gold Rolex Sky-Dweller, that she posted on her Official Elle Macpherson Instagram page a year and a half ago. David Letterman was responsible for referring to Elle Macpherson as a 'Super-Leggy Model", which you can see in the video below.